Last summer, CJ came in for his newborn session and did not want to miss a thing. He didn’t make a peep though and with those big blue eyes, I quickly became his biggest fan. Now he is close to walking and oh yeah, LOVING cake! What an incredible first year. 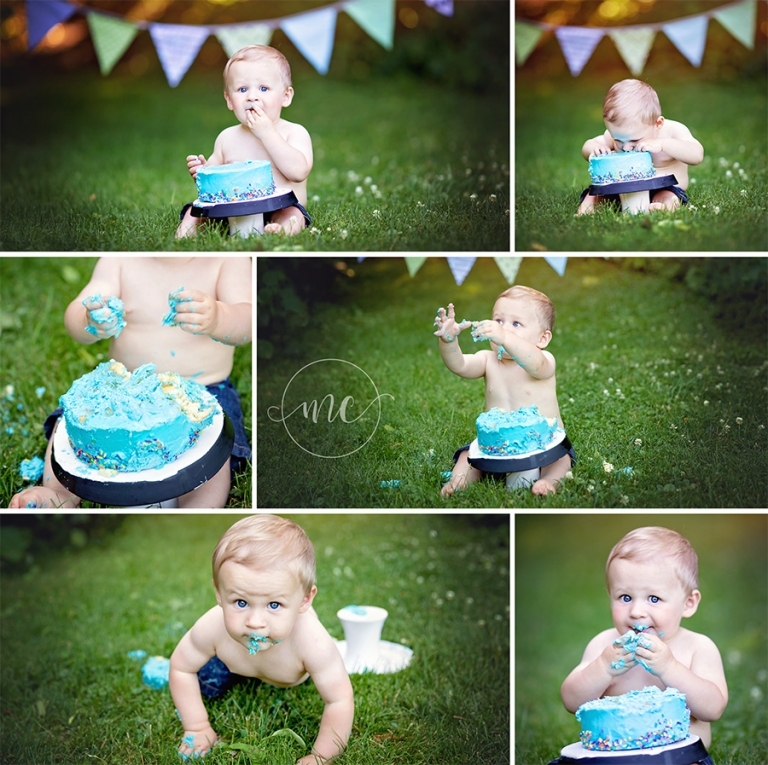 His momma wanted to keep his cake smash simple~ CJ certainly is the star of the show here. Little man had so much fun digging in, if it weren’t for the grass, he would have demolished the whole thing…..quickly! Banner by Petals and Plaid Children’s Boutique and cake by A Cupcake A Day in Medina, Ohio. 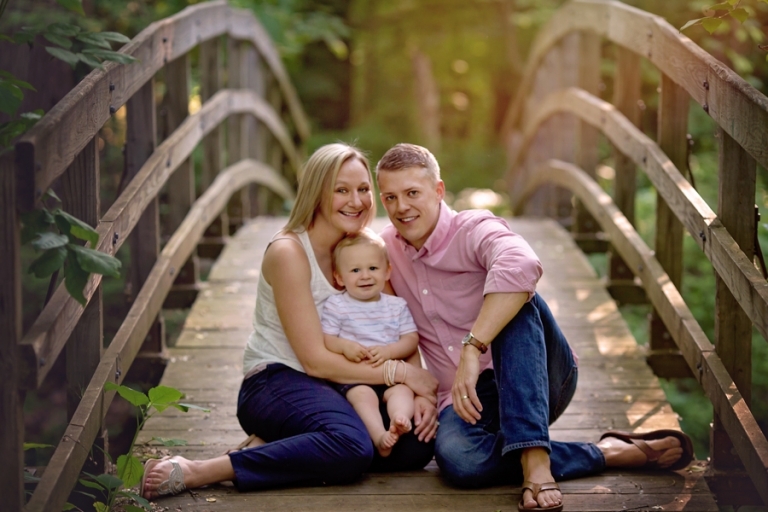 Oh, and his parents are just as adorable. 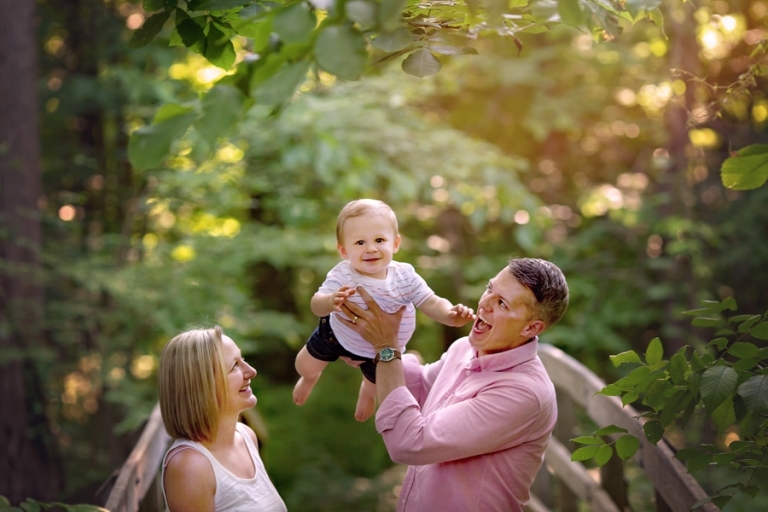 Of course for outside sessions we have to sneak in some family photos. 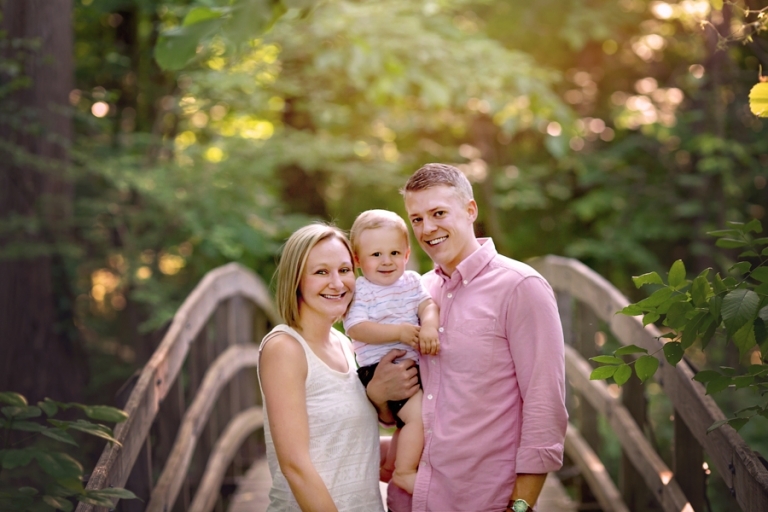 If you are interested in family photos, they are available May-October. You can find more information here. CJ fit perfectly in this wagon at his newborn session. He enjoyed the ride but it may be his last! Did I mention that I love this bed from Woodsy Wonders? If you’ve seen my other posts, I’m sure it looks quite familiar. It’s definitely a favorite!! Thank you for stopping by! If you are interested in scheduling a session or would like more information on these types of sessions, please visit our pricing guide or contact me at mary@marychristinephotography.com.